It’s been a year since last time I build a project for myself, just for fun. And I tough that I should finally build that old project that I had in mind long time ago but never had time to. I’m talking about my idea of converting and old PS2 keyboard into an Arduino Artnet broadcaster. People in the lighting buisness will apreciate the idea because we have alwas the need of more buttons more faders to control every single aspect of the lighting system. So this project extends our interface using artnet and on the cheap! The logic behind is very simple. We have a lighting system wich is composed by inteligent lights in one side and a control system in the other. Normally the comunicacion betwen both is done via a DMX cable. But many of the lighting controller nowadays have extra inputs in form of DMX inputs, MIDI, analog and/or Artnet. I will be using the last one (artnet) to, trough the keys of the keyboard, trigger functions on our lighting desk. In my case the GrandMA2 onPC software. 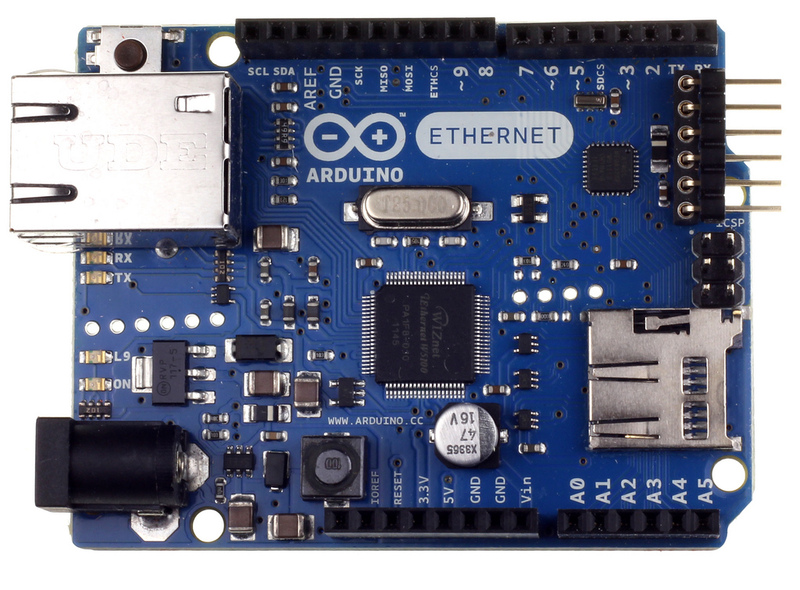 We will be using the arduino ethernet to translate the keys pressed on the Keyboard to Artnet UDP pakets. This pakets will be then transmited to our control desk (GrandMA2) trough the nerwork and then, inside the software, reassigned to our desired functions hardkeys. The result will be a working Arduino Artnet sender. I’m using the Grand MA software as example as its the one I’m using for my work. In order to make it work you have to own a GrandMA-node or GrandMA-OnPC-wing to enable the input/output of signal in the software, but there are many other options available that you can use for free. Checkout Chamsys , Freestyler If you can not find any software available you can always use a simple art-net monitor to see how packets are received in a computer. 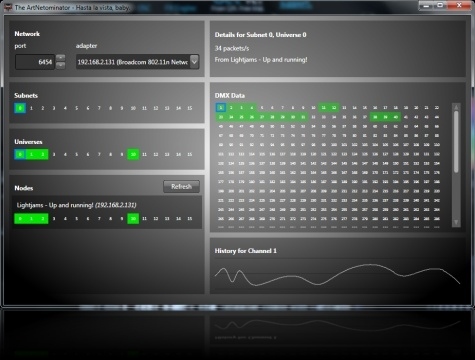 I’m using ArtNetominator to monitor network activity under windows 8. The arduino setup is very simple. Just attach a PS2 connector to the right pins of arduino and program the arduino with the code I’ve writed. Once you have it working you have esentially a mini lightdesk that is broadcasting Art-Net packages each time a key it’s pressed. You could also use it as a standalone desk for triggering single lights ON/OFF. We would need an artnet node to transform the artnet packets to DMX signal. Using this artnet sender you can interact with a large number of softwares and networks including home automation systems. My main use is to interact with GrandMA2 onPC and be able to press desired hardkeys without the need of shortcuts or mouse cliks. Using remote inputs i can setup any hardkey to react to any channel.